The perfect balance of performance, comfort, and innovation. Our Lone Pine sleeping bags feature Eureka's new Insulcore HQ synthetic insulation for dependable warmth in all conditions. 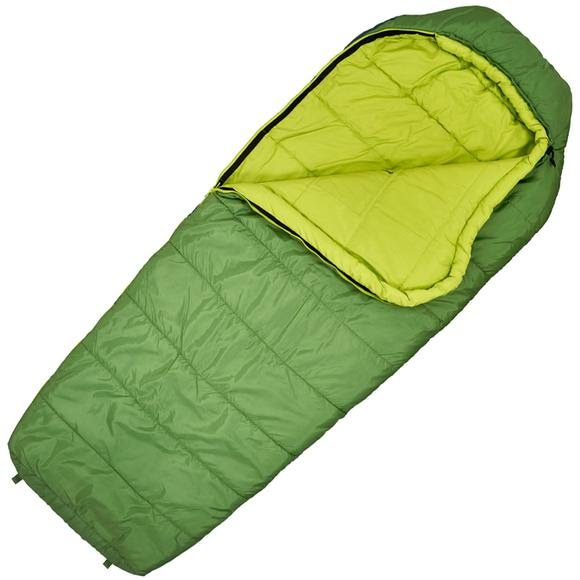 The comfort-focused shape includes an insulated hood and draw cord for additional thermal performance when needed. The perfect balance of performance, comfort, and innovation. Our Lone Pine sleeping bags feature Eureka&apos;s new Insulcore HQ synthetic insulation for dependable warmth in all conditions. The comfort-focused shape includes an insulated hood and draw cord for additional thermal performance when needed. Utilizing Eureka&apos;s Stealth-Grip™ fabric technology, this bag is part of our patent pending Camp Comfort™ Sleep System. Stuffsack Size Reg: 17" x 10", Long: 17.5" x 10.5"